Cellist Yari Bond is well known for her wonderful gift and ability to develop, support and nurture talented young people, helping them to evolve into mature and creative musicians. For the past 17 years she has taught at the Special Music School of America based at the Kaufman Music Center in New York City. 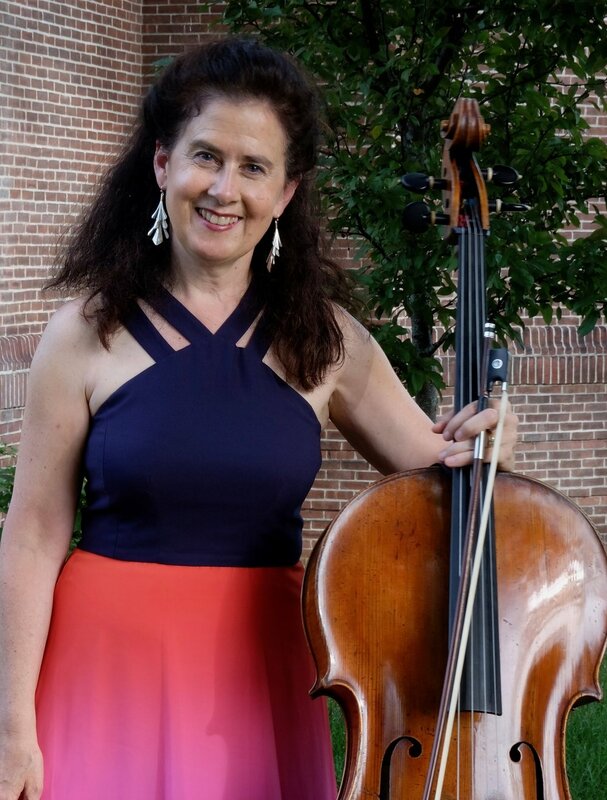 She is the founder of Concerts Con Brio, Celebrating Young Artists, producing 8-10 concerts each season and providing her students with numerous opportunities to perform and develop their unique voices on the cello. Yari’s students have been accepted into Juilliard, Manhattan School of Music and Mannes Pre-Colleges as well as numerous summer festivals including Kinhaven, Greenwood, Bowdoin, Meadowmount, Interlochen and the Perlman Music Program. Her students are frequent competition winners, performing at Carnegie Hall’s Weill Recital Hall and NPR’s From the Top, and have participated with organizations such as the New York Youth Symphony Orchestra and Chamber Music Program. Her students have gone on to attend The Juilliard School, Northwestern University, Oberlin, Harvard and Yale. A great lover and champion of chamber music, Yari is a life-long performer and teacher. At Special Music School, she is the director of La Piccola Virtuosi, one of the youngest conductor-less orchestras in existence. She coaches chamber groups with the New York Youth Symphony Chamber Music Program and at Columbia University where she has been teaching for over 20 years. As a founding member and the artistic director of the Carnegie Chamber Players and the Thurnauer Chamber Music Society, she has designed and implemented Chamber Music America residency programs in Vermont and New Jersey performing on numerous concert series, summer festivals, outreach programs, and teaching, as well as performing with WNPR Performance Today, WNYC and Vermont Public Radio. An important mission of these residencies has been to act as ambassadors of music to the communities served. Yari has performed with numerous ensembles, including the Orchestra of St. Luke’s and has performed in all of New York’s major concert halls. She has performed as a soloist, chamber and orchestral musician across the United States, in Europe and Japan including festivals such as Caramoor, Yale at Norfolk, Yellow Barn Music Festival, Aspen Colorado Music Festival, Eastern Music Festival, Bach Aria Festival, New England Bach Festival, and for four seasons as solo cellist with the Basically Bach Festival in Anchorage, Alaska. A champion of contemporary music, she has premiered and recorded the music of many contemporary composers and can be heard on the CRI, Opus One, Naxos, Classic Masters, and CBS Masterworks labels. Yari holds both a Bachelor’s and Master’s Degree from The Julliard School where she studied with Leonard Rose.